Discover our rich and tasty Norwegian cheese and dairy products! 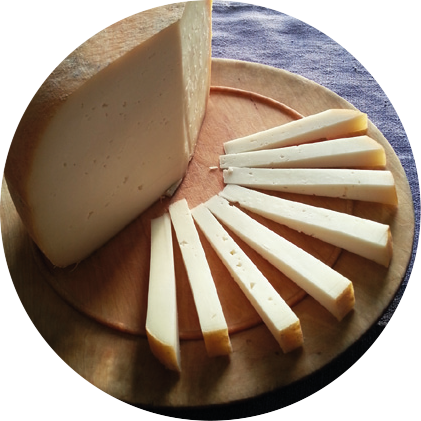 Along the ”Cheesetrail” you will find local artisan cheese and dairy products. Discover the local cheesemaking traditions in the area and taste your way through Sogn, Valdres and Hallingdal! During the summer season, several of the mountain farms in Valdres and Sogn have ”open days” where you can see the making of brown cheese and have a taste of life at a mountain farm. Click on a cheese link and you will find local farmhouse or mountainfarm dairies. Here you will find address, contact details and product range. Check opening hours and retail sales!!! Farmhouse dairies producing artisan cheese and dairy products - direct sales or local retail - check specifications. Mountainfarm dairies producing artisan cheese and dairy products only in the summer season - check opening dates!!! Norsk Gardsost er en landsdekkende organisasjon for norske håndverksysteri og gårdsmeieri. Norsk Gardsost organiserer de fleste som driv med småskala melkeforedling i Norge og arbeider for å få frem hvordan håndverksysteriene er viktige for verdiskaping og som tradisjonsbærer.